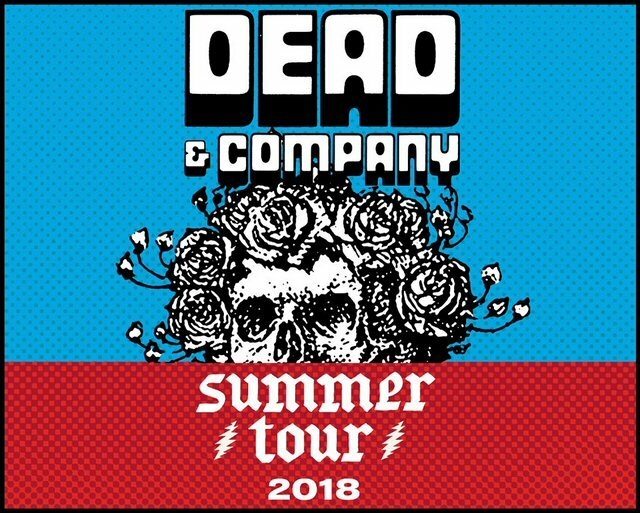 All good things must come to an end and for Dead and Company that just means their Summer Tour for 2018 has officially wrapped with two shows at Folsom Field – home of the NCAA’s Buffaloes – in Boulder, Colorado. The finale was simulcast around the world via Nugs.net and select venue partners such as the City Winery in Nashville where we attended a special Dead themed showing on July 14, 2018 along with several other like minded Deadheads. 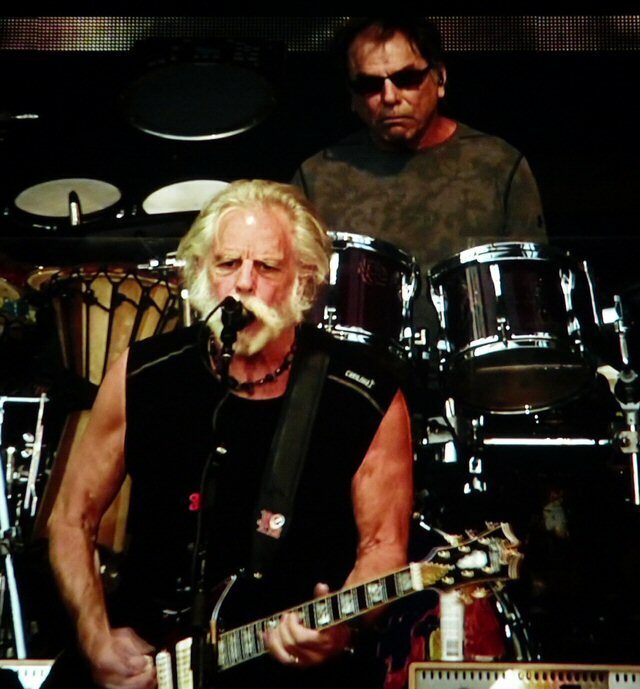 Bob Weir and Mickey Hart in Colorado. If there are any music fans out there still unfamiliar with the idea of band as brand – Dead and Company provide a captivating case study in how a legacy rock unit can carry on after the death or departure of signature players. Almost a quarter of a century since the substantial loss of founding member Jerry Garcia the Dead still live and are in fact thriving with their latest incarnation. Jerry’s partner in crime and co-frontman of the San Francisco based psychedelic pioneers Bob Weir has continued his abundant musical heritage in new groups with names like Ratdog, the Other Ones, the Dead and Furthur. At times, he has been joined by other Grateful Dead members Phil Lesh, Mickey Hart and Bill Kreutzmann to recreate the essence of his band’s vast catalogue. Since 2015, these remaining core three members (Phil is sitting this one out) have been joined by chart topper John Mayer on guitar and vocals. The results have been unexpectedly favorable. John was a curiosity at first but it’s now clear that Mayer elevates the musicianship in the outfit known as ground zero for the jam band scene. After several tours of duty John has studied hard and become a better spontaneous improviser – a must have skill set in this jam packed genre. Over the two halves Mayer managed to illicit a smile or two from the usually grumpy Kreutzmann. Newcomers keyboardist Jeff Chimenti and bassist Oteil Burbridge were noticeably more animated than their previous counterparts just hanging on along with Weir as the Dead classics were taken to new heights. During a recent interview on CBS Television Weir and Mayer discussed what’s next for the legendary act. In addition to revealing that he envisions a future Mayer-led Dead and Company playing on without him, Weir talked about his desire to hit the next plateau with this version of the band. That, he said, could lead to a long overdue trip back to the recording studio to make the first new Grateful Dead music since Garcia’s passing in the 90’s. By all accounts, the guys reached and surpassed that mark on the 2018 summer dates. The packed football stadium was treated to many highlights over three hours including the potent opening double shot of “China Cat Sunflower” into “I Know You Rider” that found the quintet hitting on all cylinders. The interplay between Mayer and Chimenti was especially infectious and provided a dose of energy that has found this version of the Grateful Dead catching on with a whole new generation of fans. So, where do Dead and Company go from here? Can they keep spreading their musical message and take this thing even further yet again? Well, they’re on a scheduled break now for the rest of the year except for a much anticipated appearance at Virginia’s ‘ LOCKN’ Festival in August that will find them sharing the stage with friend Branford Marsalis. Perhaps they’ll be working on the chemistry while getting ready to bottle it up for the next Dead related musical product. Either way, the future looks bright as fans around the world and Deadhead Nation anxiously await the next resurrection of the Dead. 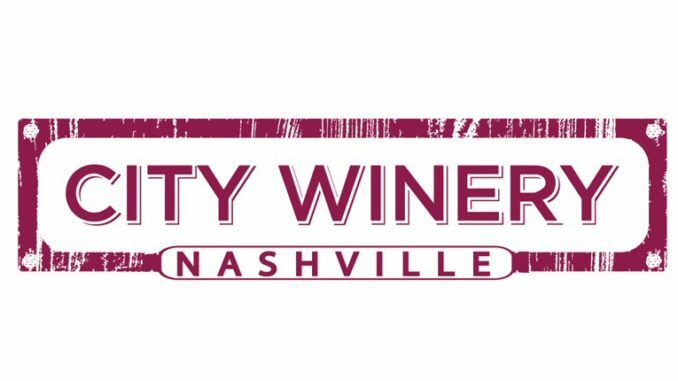 Nashville’s City Winery did everything right to make the night a special one with a thematic menu of food and beverages. We enjoyed the extra tasty “Ramble On Rosemary” garlic grilled cheese presentation. We paired that with the “Crazy Fingers” fried chicken sandwich. Drinks included the “Busted Down on Bourbon Street” Mule and the specially prepared “Cumberland Blues” Cocktail. For those with after dinner munchies the “”Jack Straw”berry Shortcake for dessert was too tempting to pass up. 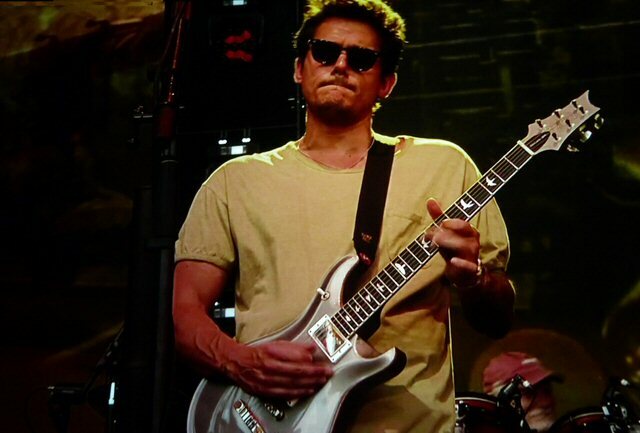 John Mayer and Bill Kreutzmann in Colorado.